This ultra glamorous facet planter offers instant contemporary elegance to any room or space and looks great from any angle. This random shape adds a fashionable urban vibe with a quirky edge! 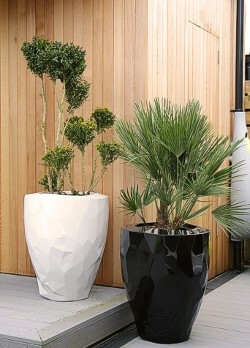 As with most GRP planters they are available in the full range of standard RAL colours in gloss and matt finishes.